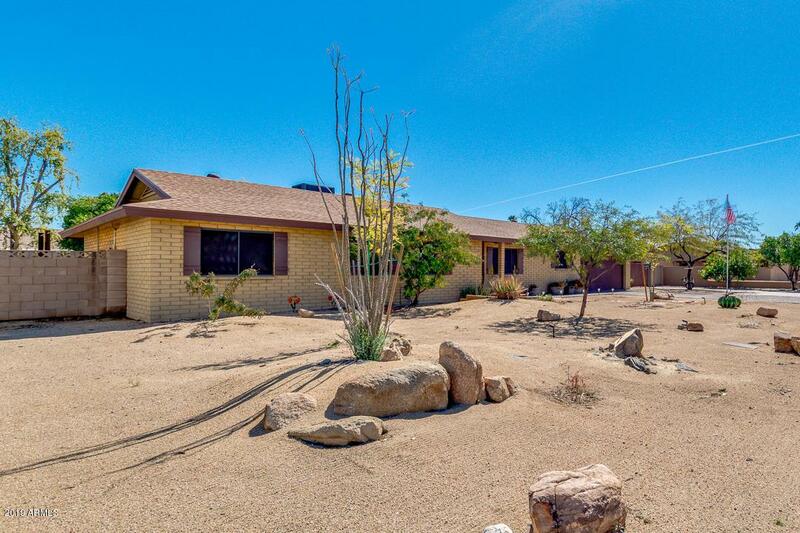 Spectacular 4 bedroom 2 bath home sitting on .4 of an acre lot with NO HOA in highly desired area. 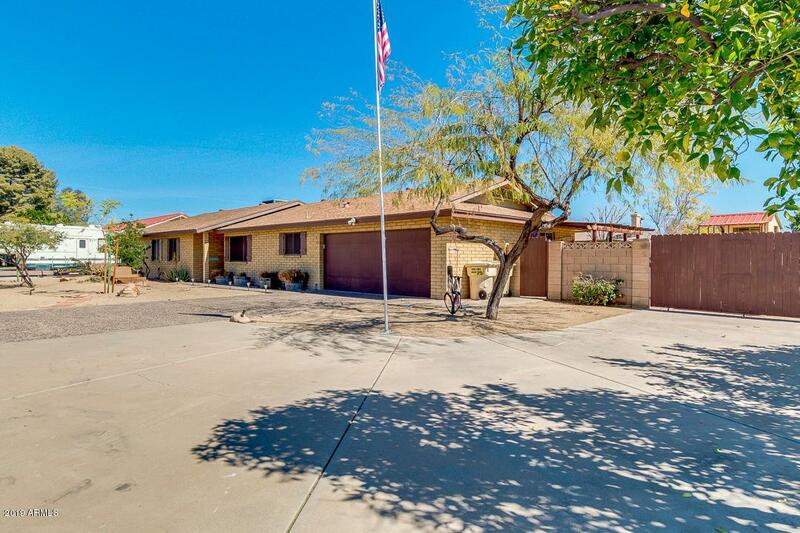 This is a must see property with a beautiful landscaped backyard that has a fenced pool, shed/workshop, kids play area and more. 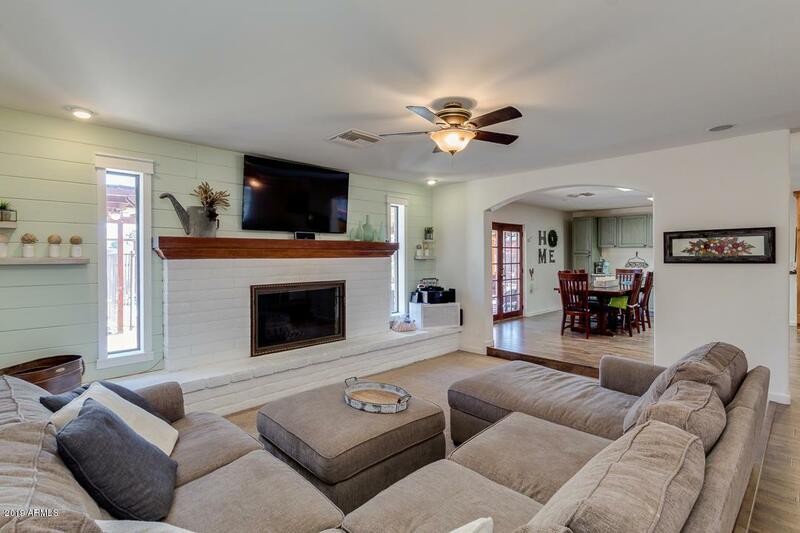 Inside has an updated kitchen with butcher block island, wood fireplace, wood flooring, updated bathrooms, skylights to allow natural light in that can be remotely covered in summer to block heat, and much more. 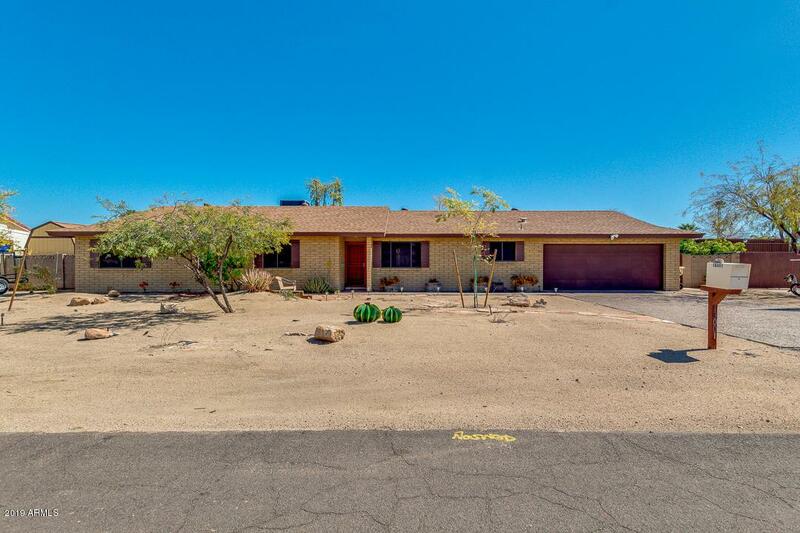 Desert Landscaping in front offers minimal upkeep. Property backs up to a wash so no neighbors behind property. Don't miss out on this home! !